A telepresence robot (also known as virtual presence robots or remote presence robots) is a smartphone, tablet or computer-controlled robot which allows those who engage with the robot to view and hear the robot’s operator while the operator can view what the robot is “looking” at, as well as hear sound at the robot’s location. In short, a telepresence robot provides you with a remote presence; short of touching items, you are ‘on location’ whenever and nearly wherever you wish to be..
For example, instead of having a static view of participants (as with Skype and other video conferencing applications), the controller of the robot is able to control what they wish to see, as opposed to needing someone to point a camera at a particular person. Many telepresence robots come equipped with such features as laser pointers, zoom capabilities, and autonomous driving for enhanced communication and convenience. With this total control of the robots, users can view and interact with remote environments, whether hospitals or homes for the elderly, manufacturing plants or warehouses, provided the robot is turned on and retains an internet connection, saving themselves large quantities of time, and hundreds or thousands of dollars in travel expenses. the remote presence capabilities provided by telepresence robots enables surgeons to assist peers at different locations across the globe, business owners to view store or warehouse setups or assembly line processes, sick children to attend classes and interact with their classmates, doctors to interact with patients while not on location, and even something as simple as allowing grandparents to watch their grandchildren while they play, miles away. 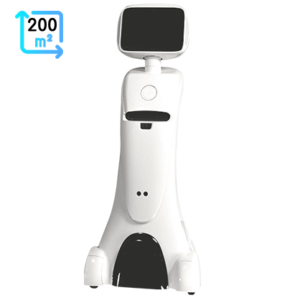 Here is our Robots page to find telepresence robot products, pictures, videos, features, and all the other information you need to make the most informed decision for purchasing a telepresence robot for your hospital, business, or home. 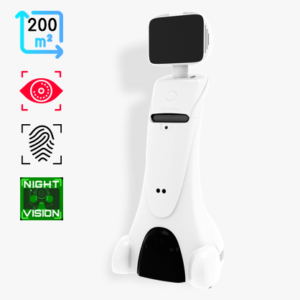 Additionally, you may view the Reviews page on our site to learn what experiences other users of telepresence robots have had or to create your own review to help others in their own decision making.